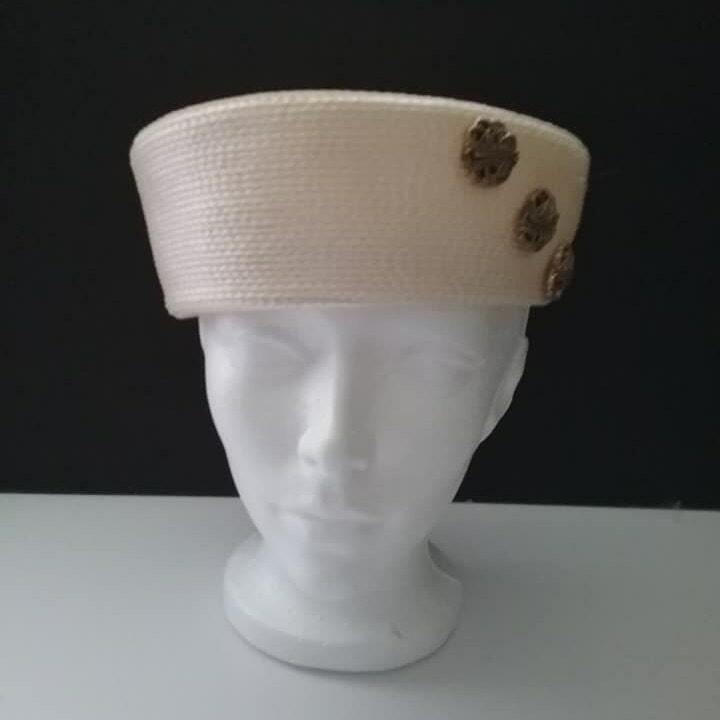 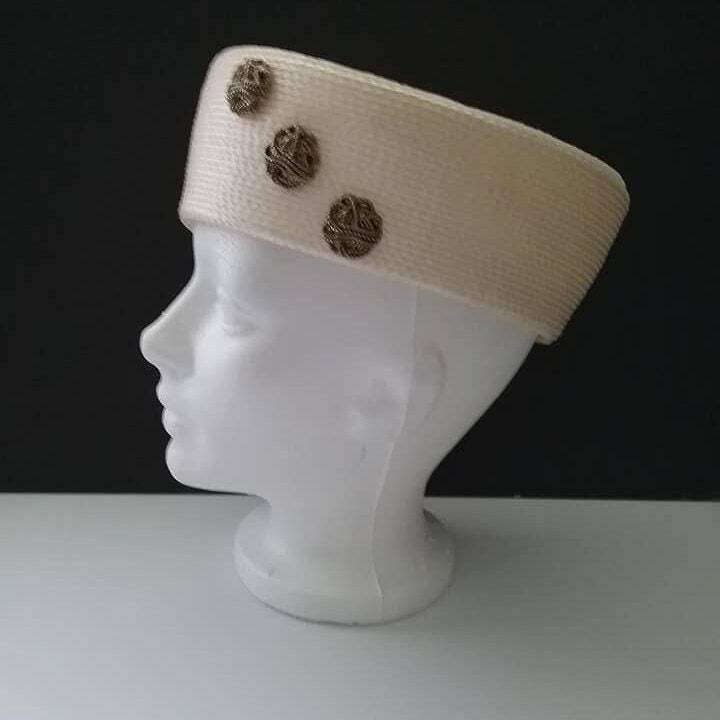 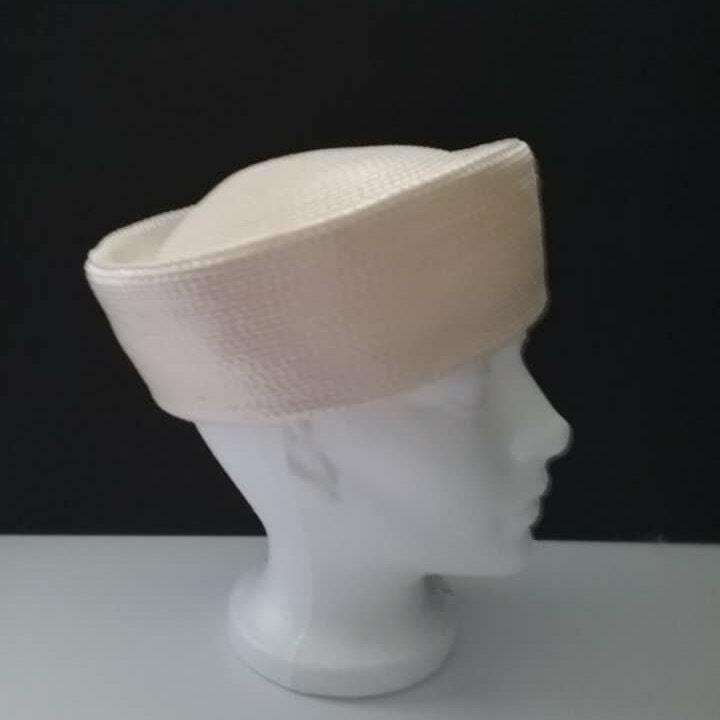 Vintage white, pillbox hat, straw (polypropylene). 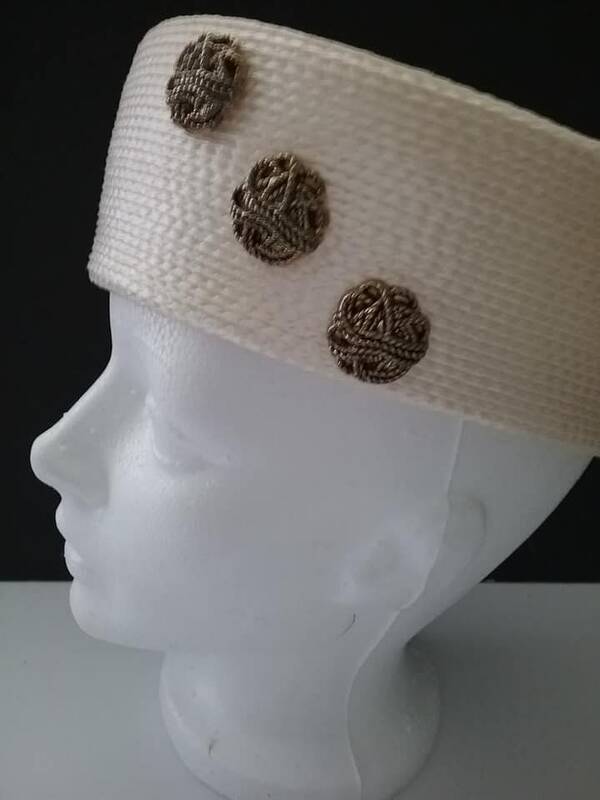 Three brass Style rope-like button embellishments. 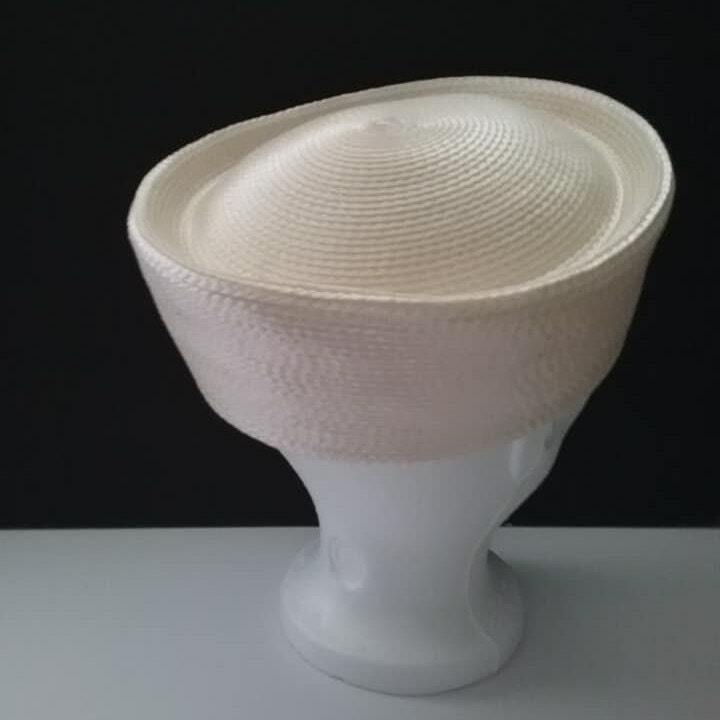 7" diameter at head opening, and 8.5" diameter across the top. 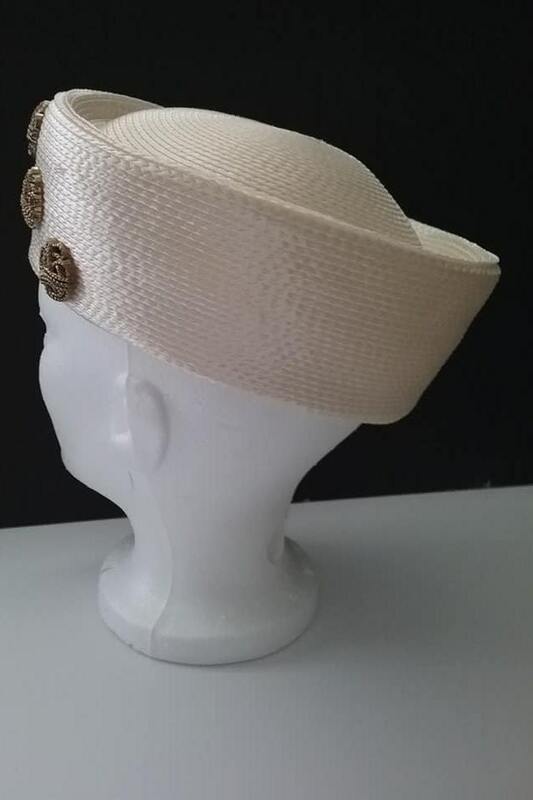 A very lovely, and stylish retro "Jackie" look....beautiful and in very good vintage condition.